Life in Spain is a trip! Yes, Spaniards have a siesta (but they don’t nap like you think). Yes, they love ham (not the kind from Thanksgiving). And yes, their wine is amazing (don’t debate me). These are all the cultural aspects that are popular when discussing Spain. However, there is more to Spain than that! The daily life can only be explained so much in school or pre-departure orientations for study abroad. The more you experience in a place long-term, the more you learn. So whether you are adjusting to life in a Spanish city, or interested in moving, I have what you should know about Spain. Ya te digo (I agree)! Ya está bien (I’m fed up)! Ya caigo (I get it)! Anda ya (I don’t believe you)! These are embedded in Spanish culture among friends and co-workers, so when you use them correctly you feel like a boss. Also Vale. Venga. Adios (Ok. Alright. Bye), is a common way to end a conversation. Then qué guay and qué mola, both meaning “how cool,” are a few “Que” phrases to know before embarking on life in Spain. Since tips are not customary in Spain, customer service does not exist. Waiters, servers, and bartenders, will completely ignore you for most of the meal. It’s culturally appropriate and accepted. This also happens because many places are hectic due to the Spanish way of eating at a bar or stand-only eatery. Once you pay, remember that splitting checks is not common either. It is best to have exact change if you go out in a group in Spain. Prior to study abroad, I had no idea about Spain’s history with the Moors (modern-day Moroccans). A very long story short, Christians pushed out the Muslims and took over famous palaces such as the Moorish castle called the Alhambra in Granada. Yet, southern Spain is still heavily influenced by their culture as you can hear blends of Arabic and Spanish music in Granada, Sevilla, and Córdoba. Also, many of the tourist attractions are originally of the Moors, such as the Mezquita (Mosque) of Córdoba. Aside from the Moorish history, many Afro-Spaniards, who were born in Spain to African immigrants, are fighting for representation in media and politics, as discrimination and racism do exist as well. Though a “bote” can be defined as “boat,” that is not what I mean. In northern Spain, a “bote” is a group fund for a night out. As mentioned above, splitting checks is not what life in Spain is about. Thus, if you are getting pinchos or tapas with four or five friends, each person puts in money for a “bote” to avoid counting change after every bar. You and your friends decide the amount before you go out, based on everyone’s budget for that night, and one person pays as you all go along! It works best if you all put in the same amount and remember how much you are spending so no one overspends, or ends up paying for another person’s meal. Start with at least 10 euros to eat and drink away. Spanish culture is social, yet lax, therefore you may be invited to events without realizing you were invited. Unless it is family or close-friend related, many Spaniards mention outings on a whim then will ask why you did not show up after it is over. Formal plans are common too, but sometimes you have to read between the lines to make those local friends when adapting to life in Spain. Even though I learned about the “sobremesa” before I studied abroad, I didn’t understand it until I was caught in it. “Sobremesa” refers to the time where Spaniards hang out and converse after a meal. It isn’t a basic conversation such as, “how was your day?” No. A sobremesa can go on for hours as Spaniards enjoy socializing and don’t do anything quickly. Afterwards, some go to a bar, cafe, or a club if it’s the weekend. Speaking of speed, as someone who is 5’2 with short legs, I walk fast compared to Spaniards. They definitely prefer to stroll as they walk, unless they are truly in a rush (which is rare from what I have seen). Remember you are in Spain, on their time. Embrace it! Given the fast-paced life many people around the world live in, especially the U.S., it is a cultural difference that we should consider adopting. Just saying. School is not meant to tell you everything. Life would be boring if it did. 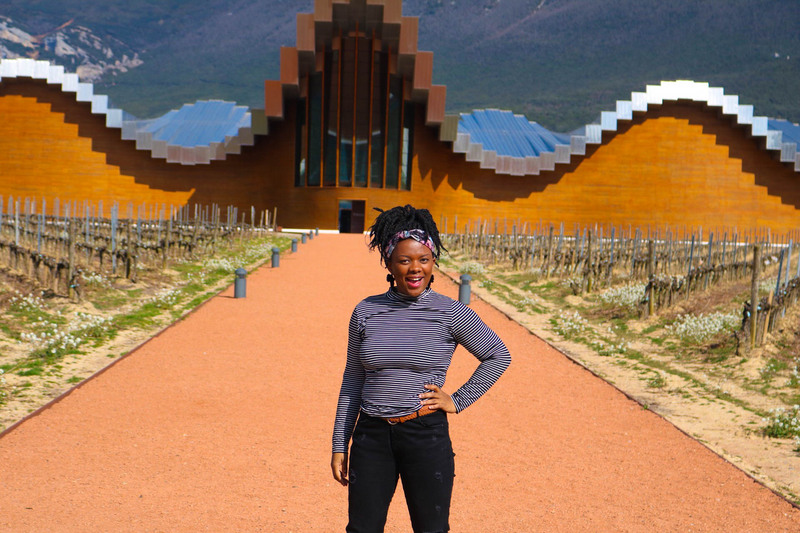 Though every autonomous community in Spain is distinct, these are just a few things I learned while I studied (read: fumbled) abroad in Granada and taught in Logroño. I grilled my professors about everything to do with life in Spain and read all the Spain expat blogs I could find. The beauty in all of that, is sometimes you have to get-to-know a place up close to dig deep and explore. Thanks for reading! Pin it and save for later so you don’t forget the info! Thanks for sharing your inside! I lived in Spain for almost two years, so can definitely confirm them! Haha thank you!! Yeah I have short legs so I allllways thought I was a slow walker until Spain. Where did you live?? I lived in Granada during, study abroad! Then up north in Logroño to teach English. Really!? That’s so funny 🙂 Yeah, Granada is really popular for exchange students. Everybody thought I studied, and was surprised when I said that I was working. Haha.